As we go full steam ahead into 2019, it’s certain that the Canterbury housing market in 2018 was a little more restrained than 2016 and 2017 and I believe this will continue into 2019. 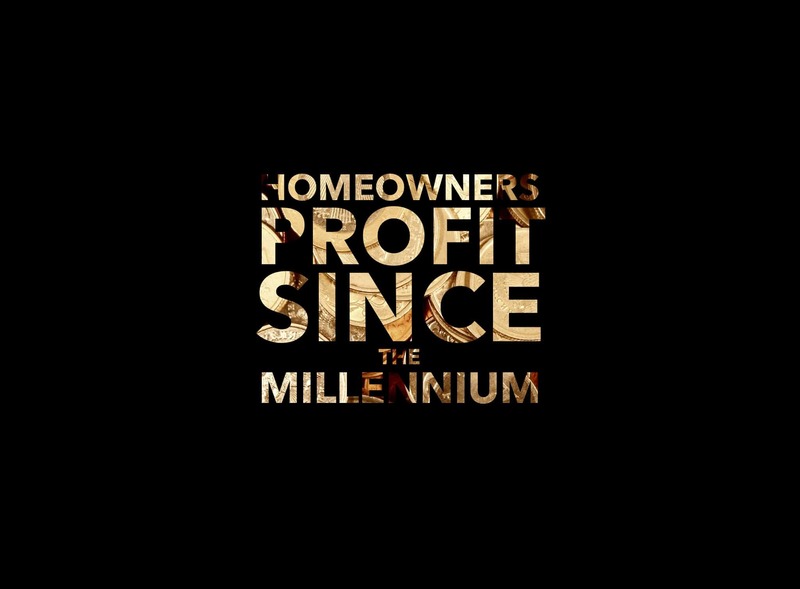 Property ownership is a medium to long term investment so, looking at the long-term, the average Canterbury homeowner, having owned their property since the Millennium, has seen its value rise by more than 253%. This is important, as house prices are a national obsession and tied into the health of the UK economy as a whole. The preponderance of that historical gain in Canterbury property values has come from the growth in Canterbury property values, while some of it will have been enhanced by extending, modernising or developing their Canterbury home. 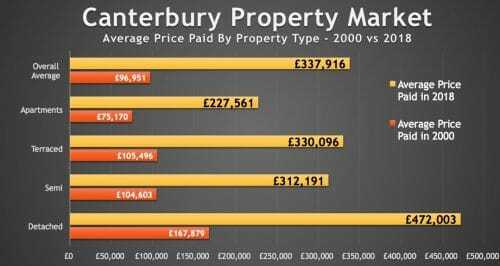 Taking a look at the different property types in Canterbury, and the profit made by each type, makes interesting reading.. So the ‘real’ value of the profit, after inflation, in Canterbury has been £8,173 per year.. still nothing to sniff at. I wanted to show you that even though we had the 2008/09 Credit Crunch property market crash where, depending on the type of Canterbury property, property values dropped between 15% and 20% in 18 months … Canterbury homeowners over the long term are still better off than those renting. Moving forward, the question I get asked time and again is what will happen in the future to the Canterbury Property market? Irrespective of what is happening in the World, Europe or even Central London, the biggest factor over the medium to long term to ensure that this level of house price growth is maintained in Canterbury is the building of new homes both locally and in the country as a whole. Whilst we haven’t had the 2018 stats yet, Government sources suggest this will be nearer 180,000 to 190,000, a decrease from the 2017 figure of 217,350 new households being created. When you consider that we need to build 240,000 households to equal demand (immigration, people living longer, higher divorce rates and people co-habiting later in life etc) … demand will outstrip supply and unless the Government start to spend billions building council houses .. this trend will continue for years (and decades to come). Another factor is that whilst Canterbury landlords have been hit with higher taxes to enable them to actually be a landlord most, in every national survey, still intends to increase their portfolio in the medium to long term. The youngsters of Canterbury see renting as a choice, giving them flexibility and options that being tied to a home cannot give… thus meaning demand will continue to grow and landlords will be able to enjoy increased rents and capital growth, although those very same Canterbury buy to let landlords will have to work smarter in the future to continue to make decent returns (profits) from their buy to let investments. Even with the tempering of house price inflation in Canterbury in 2018, most Canterbury buy to let landlords (and homeowners) are still sitting on a copious amount of growth from previous years. The question is, how do you, as a Canterbury buy to let landlord, ensure that continues? Since the 1990’s, making money from investing in buy to let property was as easy as falling off a log. Looking forward though, with all the changes in the tax regime and balance of power, making those similar levels of return in the future won’t be so easy. Over the last ten years, I have seen the role of the forward thinking agents evolve from a person collecting the rent to a more all-inclusive role; I call it, ‘strategic portfolio leadership’. Thankfully, along with myself, there are a handful of agents in Canterbury whom I would consider exemplary at this landlord portfolio strategy where they can give you a balanced structured overview of your short, medium and long-term goals, in relation to your required return on investment, yield and capital growth requirements. 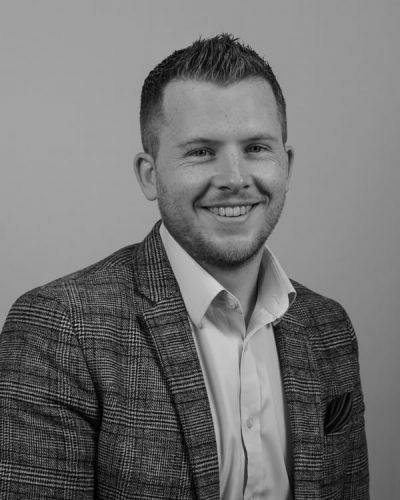 If you would like such advice, speak with your current agent – whether you are a landlord of ours or not – without any cost or commitment, feel free to drop me a line. NEWS ALERT! AWARD WINNING OFFICES! CANTERBURY WINS GOLD!